*Disclosure: “More Than Poutine: Favourite Foods from My Home and Native Land” was generously sent to me by author Marie Porter in exchange for an honest review. All opinions and thoughts in this blog post are 100% my own. Finally! An updated, modern cookbook dedicated to all things Canadian! Flipping through this book has me saying “What?! This recipe is Canadian?” As author Marie Porter says, “Ask a Canadian who has always lived in Canada about Canadian food, and they will likely bring up Poutine …as well as butter tarts, Nanaimo bars….When you ask a Canadian who is a current or former expat, though..be prepared for much more varied responses.” This could not be any truer! I have never lived outside of Canada and I will be honest, I have not paid much attention to what recipes are authentically Canadian except for the obvious because everything has been readily available to me at all times. Canada is also such a multicultural country that most Canadians grow up with eating a wide range of culturally diverse foods. It has become a part of who we are as Canadians and I guess you can say we are almost spoiled in a sense. The recipes in this book are EXACTLY what I type in Pinterest when trying to find copycat recipes of my favourite treats. Guys…Joe Lewis cakes! OMG. This is a dream come true for me. Maple snow taffy- My daughter would LOVE this! This involves grabbing clean snow from outside and pouring boiled maple syrup on top. Imagine the adventure that would bring in a house of kids! 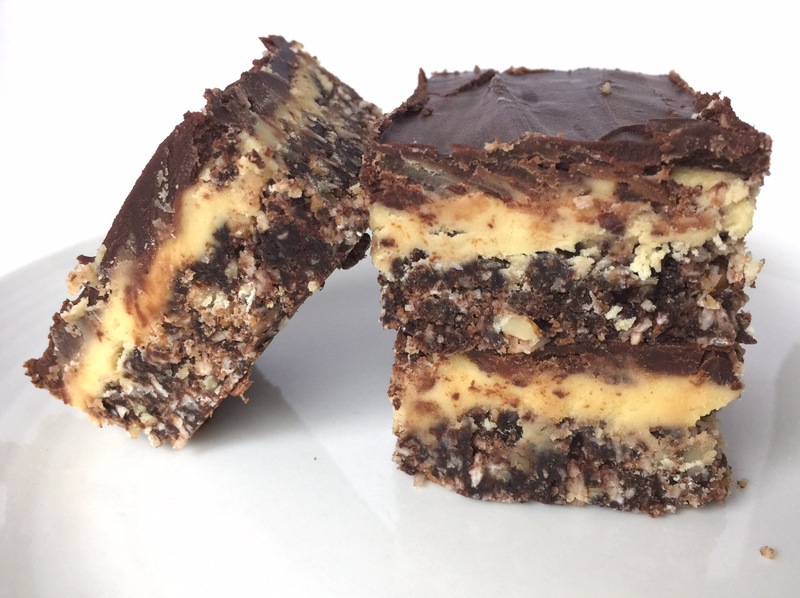 Some of my other must try recipes: Sponge toffee bars (hello Crunchie Bar! ), Crispy Peanut Butter Caramel Bars “Flirty Henry” Bars, “June East” Cakes, “Yes Caramel” Cakes (My husband is obsessed with “Ah Caramel” Cakes and can easily down a couple in one sitting), Ox Cart Wheels, Frozen Chocolate Cake which I believe is a copycat of McCain Deep ‘n Delicious Cake (yes its not really a cake but its darn delicious don’t care what anyone says!) I always dive into the sweets section of a cookbook but of course there are a ton of amazing savoury recipes as well: Poutine, ginger beef, perogies, honey garlic sauce, Rotisserie Chicken sauce (ahem Swiss Chalet sauce, yes please!) and so many more. Marie has made it possible to bring Canada to wherever you are in the world. The recipes in this cookbook are very easy to follow with simple ingredients that are easy to locate at your local grocery store. Don’t live in Canada? Not a problem, Marie took this into account when writing this book and has given suitable substitutes that you will be able to find no problem. The index at the end of the book is cross-referenced making it super easy to locate a favourite recipe. I was quite curious how the Nanaimo bars would taste without custard powder so I decided to recreate them and put them to the test. Marie provides a substitute using pudding powder and I must say, I nor my husband could not even tell! Super impressed. My absolute favourite part of this book? This cookbook was made possible by the contributions of 469 Kickstarter backers. How awesome is that? I love it. I look forward to making the rest of my favourite recipes in this book and if I ever move out of Canada- this book is coming with me! “More Than Poutine: Favourite Foods from My Home and Native Land” by Marie Porter is published by Celebration Generation and can be purchased at chaptersindigo.ca for the current price of $31.19. Price is subject to change.